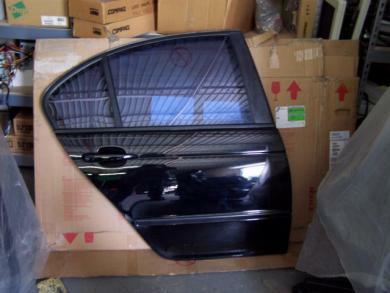 We have a complete Rear Passenger Door removed from a 2003 BMW 325i 4 door Sedan / Gloss Black in color. This door is complete with wiring harness, factory tinted glass, window regulator and motor. This door is in perfect condition and could be installed right away onto a like model car for replacement.